You are most likely to come into contact with bed bugs while travelling. 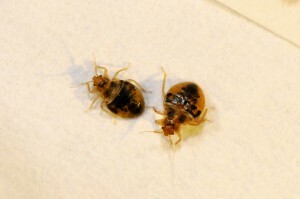 Bed bugs are notorious hitchhikers, and if someone has bed bugs in their home, they often take a few with them to their hotel, where they then breed and spread even further. It doesn’t matter if you’re at a 5-star hotel or a motel in the “bad area” of the city – bed bugs live and breed everywhere. If you truly want to stay safe from bed bugs while travelling, you should inspect your room as soon as you enter. 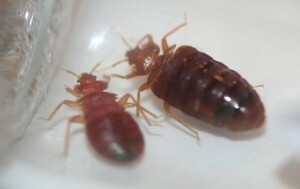 If you’re genuinely concerned about bed bugs (as you should be during summer travel months), you should inspect the room before you bring your luggage inside. Bed bugs hitchhike quickly, and can get onto your luggage while you’re searching the hotel. Droppings – Tiny dark pellets that look like dried brown blood. 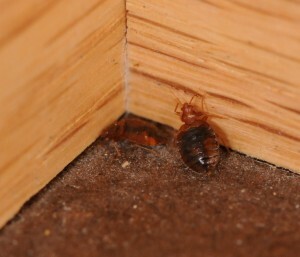 Dead Bugs – Bed bugs have a fairly long lifespan, but dead bedbugs are still a common sight. Cast Skins – Bed bugs shed their skin while they grow. Nymphs and Eggs – The babies and eggs of bedbugs are very small, but tiny rice shaped eggs and very tiny white/clear baby bedbugs can still be visible when in bigger numbers. If you’re not sure, play it safe. Ask for a different room, and make sure you get a room that is nowhere near the initial room to ensure that you’re not anywhere near the initial source. Mattress Crevices – Start with the mattress, but keep in mind that it’s not the mattress itself but the crevices in the seam where bed bugs hide. Chair Crevices – Hotel workers often do such a good job cleaning mattresses that bed bug markings may not be visible, or the bugs may have dispersed. But rarely do cleaners pay as close attention to chairs, so check the chair crevices as well for signs of bugs. Edges of Room – Make sure you also check the edges of the room, especially where the carpet connects to the wall. These are often forgotten corners that are difficult to hit by vacuum, and thus less likely to be free of bed bug signs in an infested room. It’s also simply a good idea to walk around the room and check every hidden spot or piece of fabric for any signs bed bugs may have been present. Cheaper motels may have pillows with bed bug feces stains, as can the underside of their blankets. Checking each sheet, reviewing each corner – all of those activities will help you avoid running into an unexpected bed bug problem. Unfortunately, it’s still very easy for bed bugs to hide. 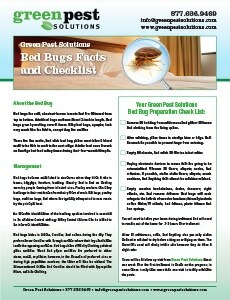 If you think there is any way you have come home with a bed bug infestation, contact Green Pest today. We offer free bed bug inspections and affordable removal options in Pennsylvania, Delaware, and New Jersey. Call now.